Isn’t this the coolest gondola ashtray ever? 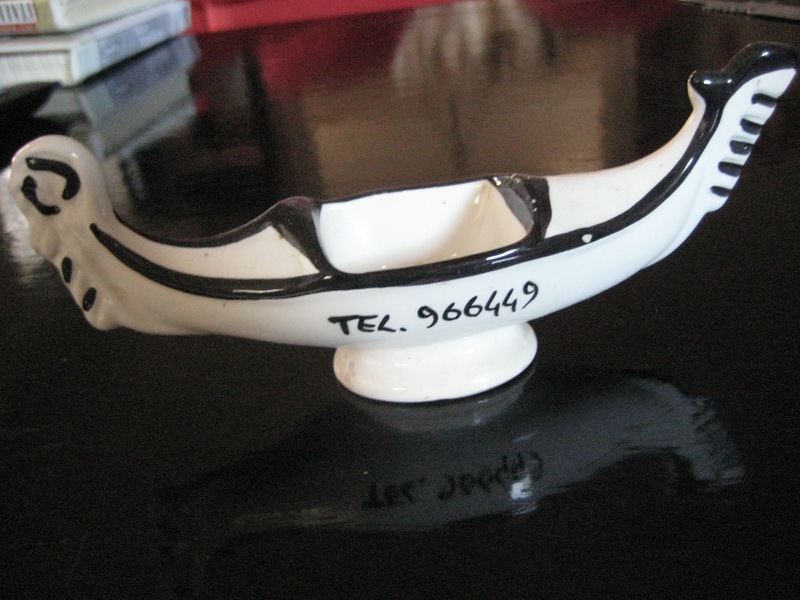 I have only a couple of the fabulous Venetian ashtrays that restaurants used to use. (My friend Bob has quite a collection that I really covet.) But this one, shaped like a gondola, tops them all. 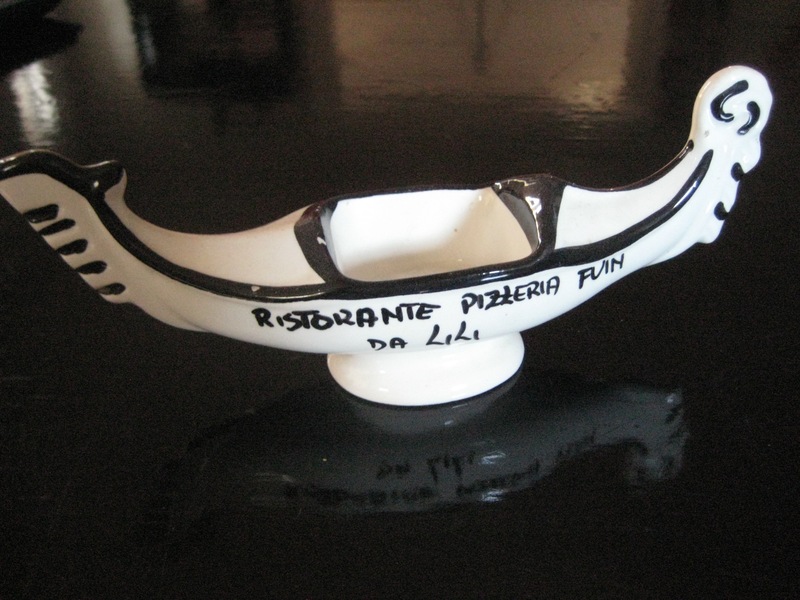 Along the side is the name of the restaurant: Ristorante Pizzeria Fuin da Lili. You can tell it’s from way back in the day because the phone number is only six digits. I’m assuming it was in Venice because I bought it there in an antique shop some years ago, and because it’s shaped like a gondola!